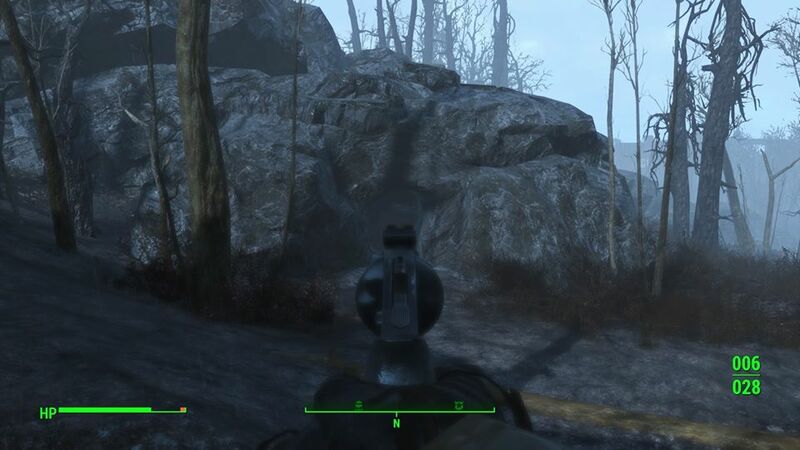 An easy guide to getting one of the most devastating hand guns in Fallout 4. 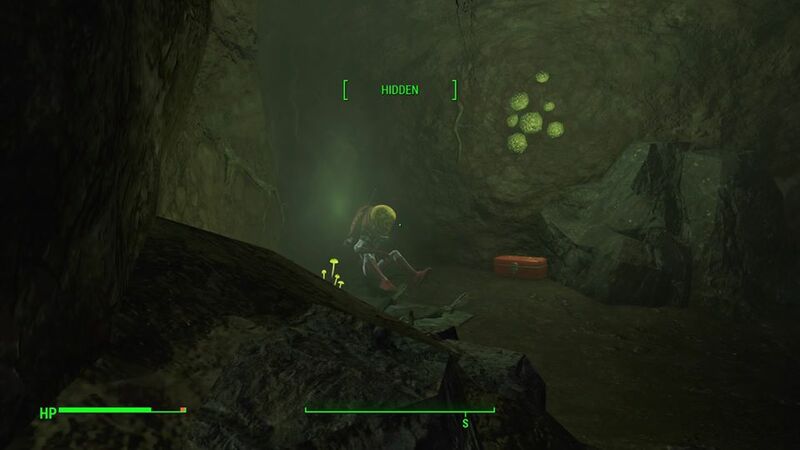 There’s a lot of secrets in Fallout 4, and a lot of hidden gear. While we know there are 30 plus exceptional weapons, there are also a handful of very rare guns hidden in secret locations. One such weapon is the Alien Blaster Pistol. I’ve heard a few rumours about how you can only get this gun from random events. That’s not strictly true, as you can find it on the map with a little bit of searching. 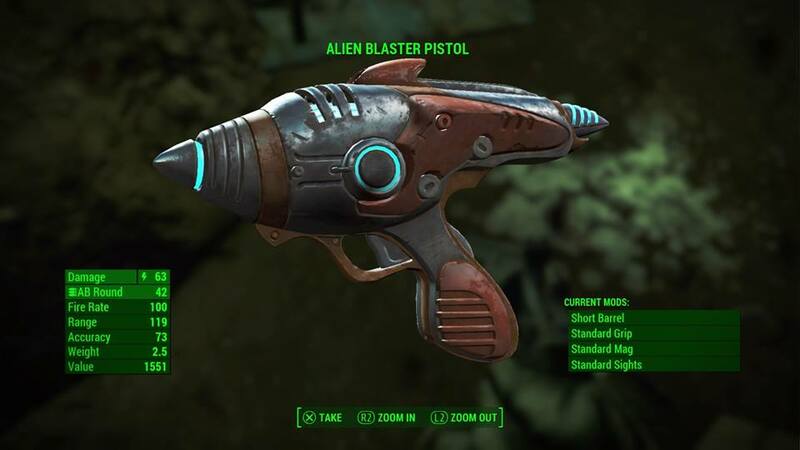 There is a suggestion that the Alien Blaster Pistol only unlocks after an event which happens as you reach level 20. I can’t say if that’s true or not, but in some locations you will hear NPCs mention something falling from the sky. That something is a spaceship, and it leads to the Alien Blaster. Regardless, this is where to find the Alien Blaster Pistol and how to get it. Fast travel to Oberland Station. 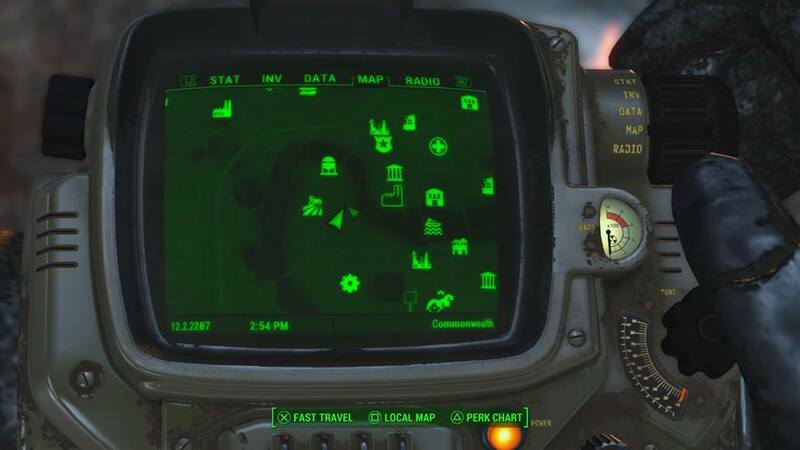 If you’ve not found this location on the map, here’s a handy Pip-Boy screen to help. From Oberland Station head east a short way and then left up the rockface here, where you’ll see burning trees. 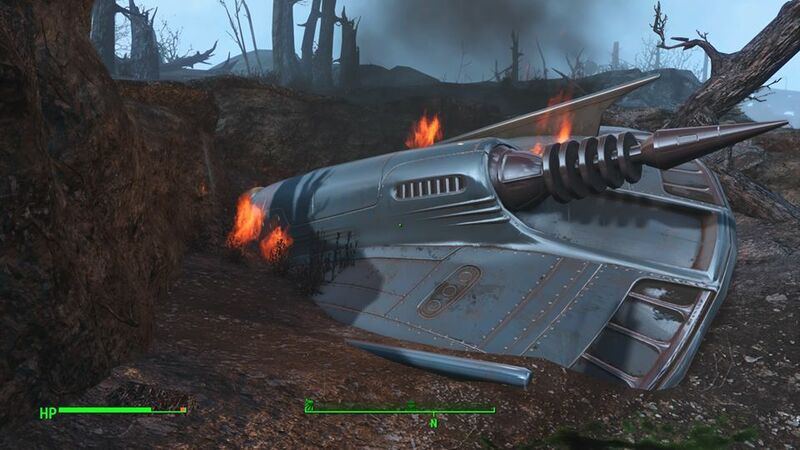 Amongst the burning trees are scorch marks, a crater and a crashed spaceship. You can’t miss it. Now look on the ground and you’ll see green blood. You want to follow this trail to a cave. Stand at the lowest point of the spaceship and follow the ridge to the right of it. You’ll see more blood. Follow that over the hillock and you should see the cave, just down in the gully. Head into the cave. Inside you’ll see the wounded alien. He’s easy to kill. So kill him. Now you can take his weapon. It does base damage of around 50 points, but if you have some decent Perks and stats you’ll do more. As you can see it kicks out 63 points of damage when I wield it. It actually uses a different ammo – AB Rounds – which you’ll find on the ugly little Alien critter. 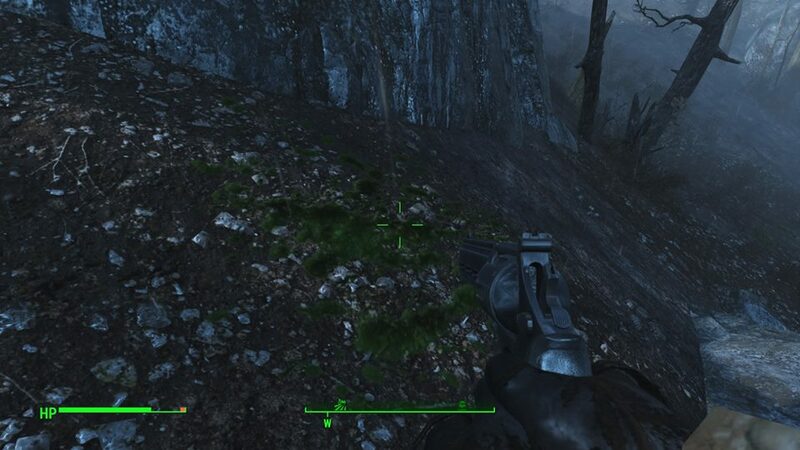 Use that ammo wisely because you’re unlikely to find much more of it.